No prep. No paper. No materials. Totally digital. 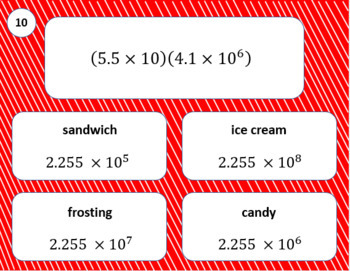 Great for 1:1, BYOD, or math computer centers. Google Drive, Google Classroom, and Microsoft One Drive. 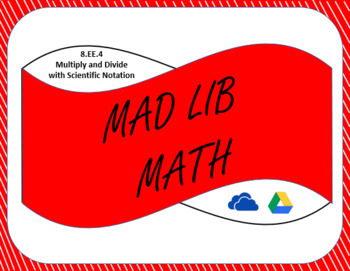 This is an interactive, digital mad lib for math. Students work through 15 slides. Each slide consists of a problem and four possible choices. Students select their answers and then type them into the appropriate spaces on the last slide. The answers will create a silly story. If the story is correct you, and your students, will know they have done the problems correctly. 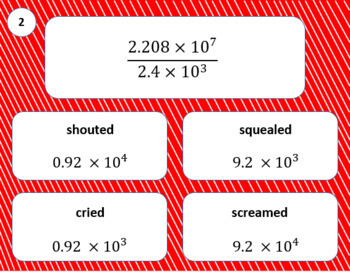 This resource can be used as homework, an individual or group activity, or as an assessment. Students love doing these mad libs so they get practice with skills while having fun! If using Google, students and teacher will need a free Google account. If using Microsoft, teacher will still need a Google account to download the activity. Instructions and answer key are included.